Did Terrorists Just Elect Le Pen? An additional dimension to this tragedy is that it plays directly into the hands of those public figures and politicians who would like to see France regress into an organic national community of blood ties, rather than of citizens. The Islamic extremists who executed the attack on Charlie Hebdo may have murdered journalists and artists, but surely their crime is also against other Muslims in France, who are now likely to be viewed as enemy aliens hostile to the essence of the Republic itself, regardless of their own beliefs. Michel Houellebecq, for instance, who often paints Muslims as a dangerous fifth column, might now perhaps be vindicated in the eyes of unreflective readers; and, in the words of one Lebanese blogger, today might very well be the day that Marine Le Pen became President of France. Le Pen, by the way, has compared the Muslim presence in France to the German occupation of the 1940s. After today, we can only hope that others will not start doing the same. to divide the world neatly into pro- and anti-Islam parts, leaving no distinction between mainstream Muslims and the fundamentalist fringe. In reality, no group has suffered more from violence by Islamist extremists over the past decades than Muslims themselves. 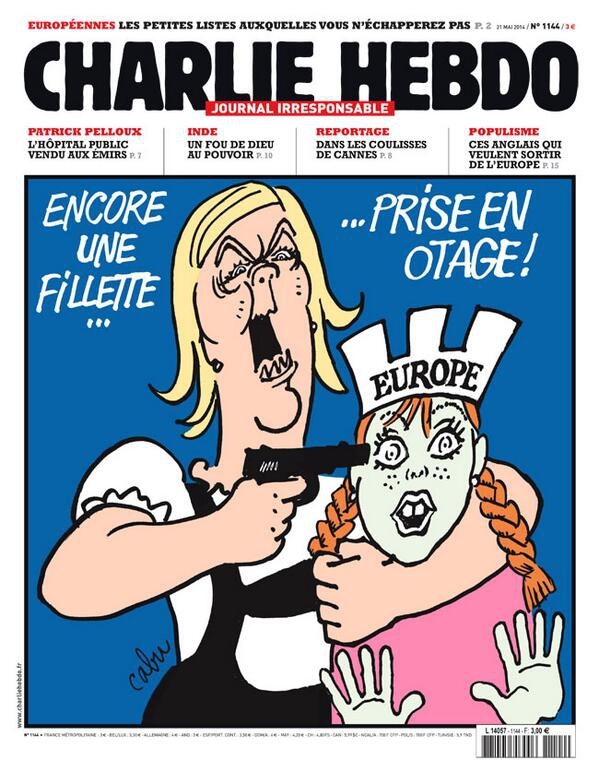 At around the same time the hitmen exited Charlie Hebdo headquarters, where they killed 12 people, a bomb attack in Yemen killed 37 people and injured scores more. The last thing media should do now is give the terrorists the divided world they seek. After the Paris attack, the number of people who “liked” the Facebook page of the German anti-immigrant group Pegida, which holds big and ever-growing weekly demonstrations in Dresden, jumped by about 7,500 to 120,500. … After the killings, Marine Le Pen, leader of the French far-right Front National, made a politically correct speech condemning Islamic fundamentalism, but one of her top lieutenants, Wallerand de Saint-Just, explained in an interview before she spoke that the problem was Islam, which “has a tendency to create fanatics more than any other religion,” and the French nationality of the suspected terrorists, which makes it impossible to deport them. Wednesday’s act of terrorism is clearly encouraging anti-Muslim, anti-immigrant forces. 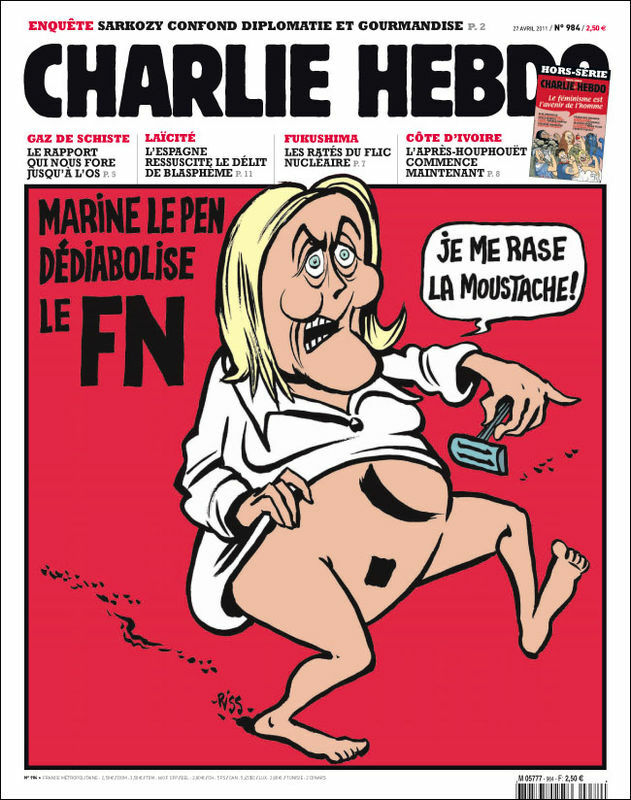 They also don “Je suis Charlie” buttons, even though Charlie Hebdo was a leftist publication that made fun of them more often than it went after Muhammad. Instead of instinctively falling into some cartoon mould of right-wing xenophobia, most of what we saw from Paris, from France and much of the rest of the world were precisely those things about which France should be proudest — the freedoms and rights that necessarily follow from the liberté, égalité and fraternité that have formed the heart of French public life since the 1789 revolution. Far from embracing knee-jerk anti-Muslim sentiment, the world watched as France, implausibly, united behind Hollande, who actually looked like a president for perhaps the first time since his election. They rallied in city after city, from Paris to Marseille and beyond, not to excoriate a religion or five million French Muslims, but to defend freedom of expression and speech. No one’s burning down banlieues tonight in France. Le Pen told us that we should not be in “denial” but should name things for what they are. It is time to talk about Islam openly, she suggested. This is, at best, out of touch with contemporary French society. Currently, two of the best-sellers in France are filled with virulent anti-Islam rhetoric and countless vocal anti-Islam commentators are given air in the mainstream media on a daily basis. Islam is definitely not absent from the public debate. What is absent from our mainstream media and politics is a careful analysis of what Islam is in France today. This would show once and for all that the Muslim “community” is not the monolith Le Pen would like us to believe. The terrorists who massacred 12 people on 7 January are apparently Muslim but so was the policeman who lost his life trying to stop them. Mustapha Ourrad, Charlie Hebdo’s copy-editor killed in the attack, was born in Algeria. While, as libertarians, we despise much of what Ms. Le Pen stands for, the two mainstream political parties in France, Mr. Sarkozy’s socialist center-right UPM and Mr. Hollande’s Socialist Party, have totally failed to address the legitimate concerns of the French citizens, chief among them the failure of multiculturalism and high unemployment. The country is ready to hand the reins of power to someone else.